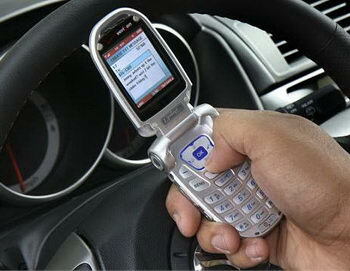 A bill introduced in the U.S. Senate today seeks to make text messaging while driving illegal. The bill is sponsored by Democratic Senators Charles E. Schumer (NY), Robert Menendez (NJ), Mary Landrieu (LA), and Kay Hagan (NC) and impels states to draft laws that ban texting while driving, or otherwise face a 25% cut in their annual highway budget. Such laws have already been passed in 14 states and the District of Columbia. Once the bill becomes a law, the transportation Secretary will have six months to issue legal guidelines, and states will have two years to approve their new laws. The bill which was approved in Maryland's Senate by a margin of 43 to 4 made it a misdemanor to read, write or send a text message while operating a vehicle. While only a secondary offense (like driving without a seat belt in some states,) it is still punishable by a fine of up to $500. Police officers cannot pull a driver over for a secondary offense alone, but if a driver is speeding or driving erratically, he can be pulled over for that violation and then cited for texting.